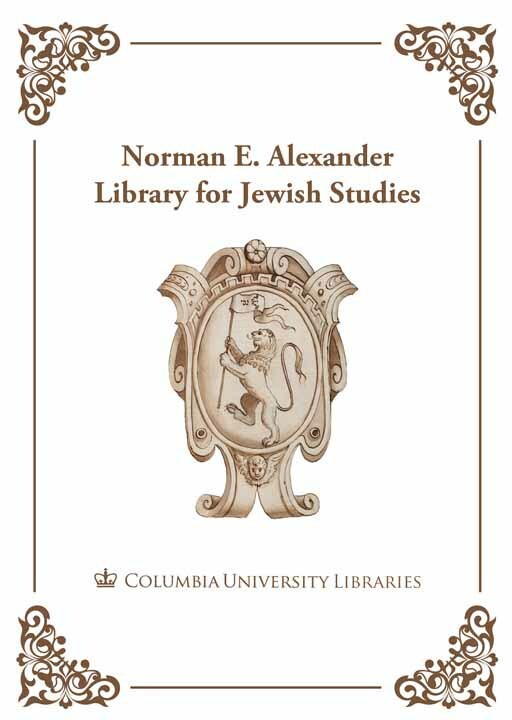 Six items from the Jewish Studies collections will be featured as part of an exhibit featuring Global materials in Columbia’s Special Collections (more information about the general exhibit below). 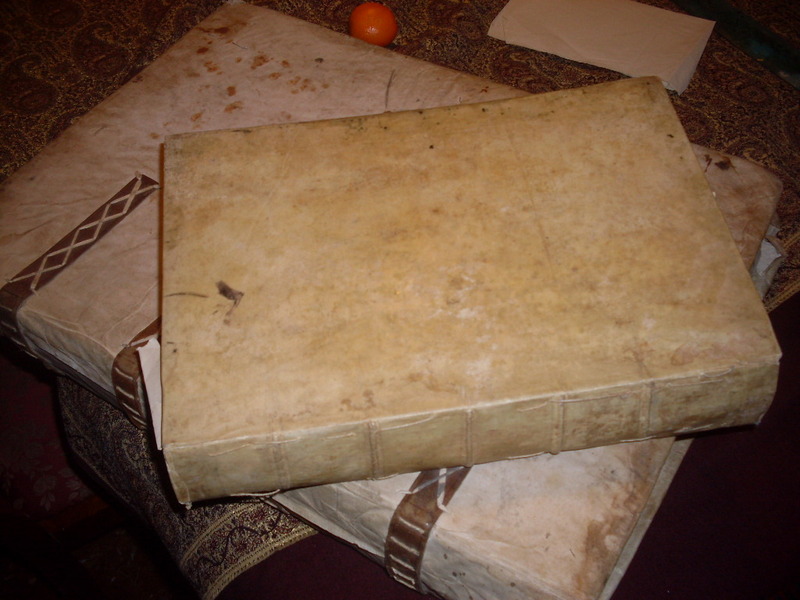 Included in the Jewish Studies portion will be a manuscript copy of Spinoza’s Opera Posthuma; a Jewish elegy for Maria Theresa of Austria; a scroll of Rabbi Yom Tov Lipman Heller’s Megilat ‘Evah; a “dialogue,” or debate, between a Jew, a Muslim, a Catholic, and a Protestant; and two works by the 16th century historian Joseph ha-Kohen, one in manuscript and one in print. The Joseph ha-Kohen manuscript, written in 1557, is a translation of a Portuguese book describing the discovery of America which, until recently, had been unusable because its ink had migrated through the pages, rendering them stuck together. Thanks to a generous grant from the Berg Foundation, we were able to conserve and digitize this manuscript, and it is now available for research use. The printed Joseph ha-Kohen book was a recent donation, and describes the history of the Jews until the mid-16th century. Please stop by the Chang Octagon Room in the Rare Book and Manuscript Library beginning April 4 to see these and other wonderful materials! 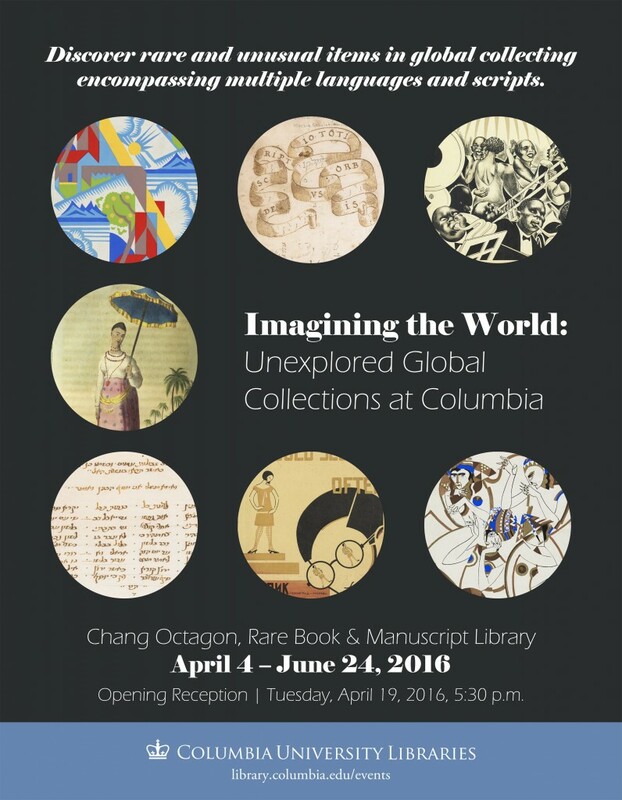 Opening the week of April 4, 2015, in the Chang Octagon of The Rare Books & Manuscripts Library, a new exhibition will offer researchers an opportunity to view a sampling of the rare and the unusual in Columbia’s Global Studies collections. The items on display until June 24, range in date from 1454 CE to 2014 CE, in a variety of formats, including books, manuscripts, maps, photos, posters, scrolls, sheet music, stamps, and typescripts, and encompassing more than 19 languages or scripts: Arabic, Czech, English, French, Gujarati, Hebrew, Hindi, Italian, Latin, Malayalam, Persian, Portuguese, Russian, Sanskrit, Spanish, Tamil, Ukrainian, Urdu, and Wolof. This small exhibit represents only a fraction of what is collected by the Libraries to support global studies research and teaching.